In this very early entry by William F. Marriner in the Philadelphia Inquirer we have a trio of unlikely turn of the century pals — a rich white kid, a poor white kid, and a black kid. The series ran from May 20 to September 30 1900. 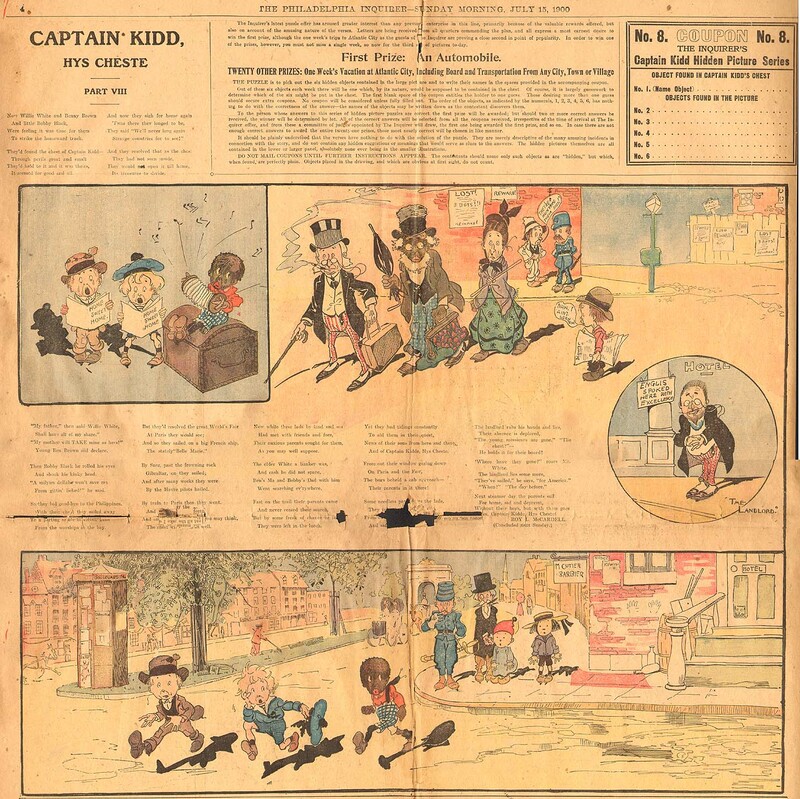 When appearing in strip form they engaged in the standard bits of urban street kid high jinks, but from May 27 to July 22 they were also featured in a hidden-picture puzzle contest. 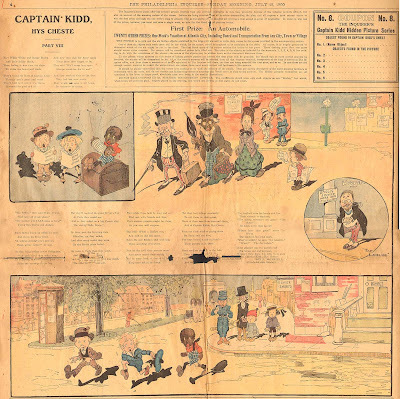 The contest was just to find the objects hidden in the Marriner-drawn cartoon, but it was framed around an adventure story titled Captain Kidd — Hys Cheste, which featured a continuing tale told in verse by Roy McArdell. Although I’ve assigned the title Adventures of Willie White, Bennie Brown and Bobby Black to the series, that exact title never appeared. The headline-style titles would typically mention some combination of the kids’ names but rarely all three in the same week. PS — can you find the six hidden objects in the cartoon? I think I did, but I’m not too sure about a couple of them.